This year we face an election which will largely determine the fate of the public education system in Texas, and the contrast between the candidates' positions could not be more severe. On the Republican ticket, Greg Abbott and Dan Patrick have both expressed a desire to expand our use of expensive standardized tests while further cutting education funding. Representing the Democratic Party, and all Texans, Senators Davis and Van de Putte have called for a massive reduction in our reliance on the faulty STAAR exams. They also campaign for the proper funding of our school system. The results of the $5.4 billion dollar public education funding cut in 2011 are distinct. Thousands of teachers lost their jobs. Class sizes across our state skyrocketed, even in the relatively affluent districts of Collin County. Support staff and important school programs, such as special needs and advanced placement, were eliminated. Districts were forced to increase property taxes in an effort to mitigate the effects, further increasing the inequities of a system significantly reliant upon a regressive tax structure. 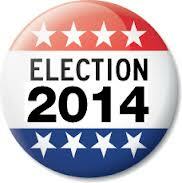 as we do in the power of public education, please take a stand with us in this year's election. Your vote is your voice. Vote Democratic.